I have experience working with Adobe Creative Suite, mostly Photoshop and Illustrator. 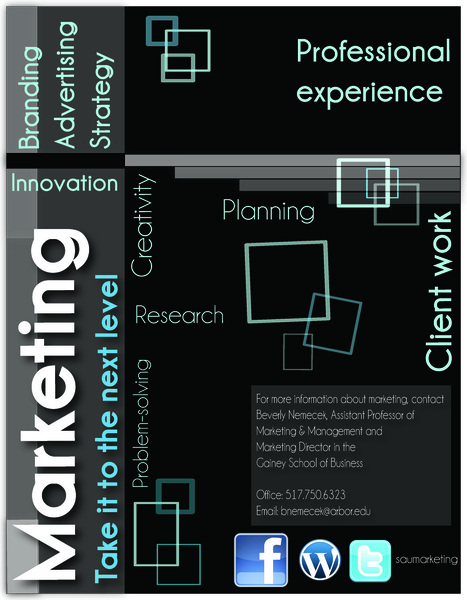 I am what you call a Adobe "Junkie" because I love working in Creative Suite designing logos, and ads. I have worked with Final Cut Express software for class as well as outside of class with video footage that I have shot in the field. I have been a teaching assistant and a tutor for several students helping them grow in their knowledge of coursework content as well as grading online work as well as speeches. I have been working in an office setting for the past three years. I performed tasks including sending faxes, making copies, working with Photoshop, answering phones and making calls, filing, and working within databases. I have completed various written content from news releases, feature writing, and script writing. I have also writted web content for various clients. As a freelance copywriter for RJ Michaels, I create written content as needed on a project basis. While working at Lucki Multimedia, I assisted the Executive Director in drafting client project proposals, whether they needed a web site, logo, print materials, or more. I scheduled and attending consultations with potential clients and meetings with current clients, getting all necessary information needed to get started on the project. I also maintained communication with clients and drafted and sent invoices to them. While I was there, I also wrote some web site content, including the company's (Lucki Multimedia's) web site and created a logo for a client. "Karen is a curious person and a self-motivated learner. She is a person who continually scans the environment for new trends and techniques. She reads up on things to stay ahead of everyone else. She experiments and finds clients around her who need help. What is most important to me, a marketing specialist, is that Karen has mastered the basic understanding that 1) everything needs to be grounded in sound marketing analysis, and 2) that both new and standard techniques in the field mean little if they do not provide a return on marketing investment."